S.J. 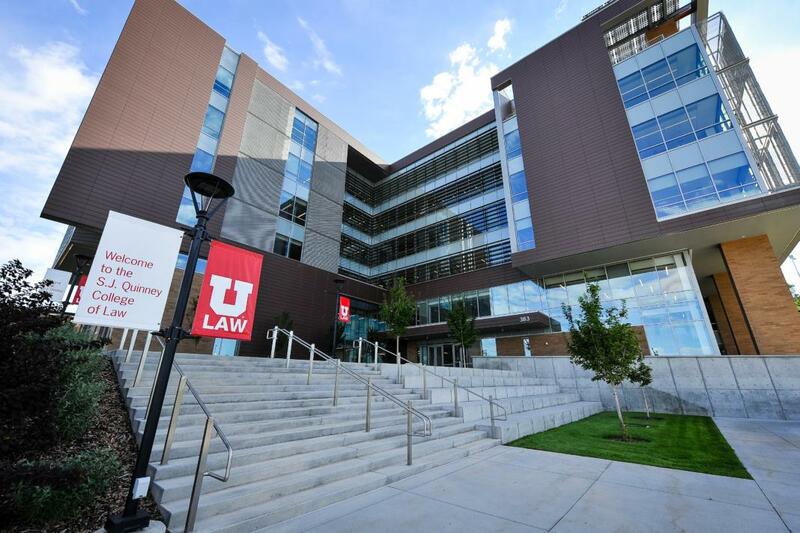 Quinney Law School on the University of Utah's campus. Chronicle archives. When adults are charged with a crime, the United States Constitution gives them many rights, as does the state’s constitution. However, when it comes to juvenile court, many of these rights do not exist for minors. A Utah senator is seeking to give charged minors the right to an attorney. Sen. Todd Weiler (R), has sponsored a bill that would require public defenders to be appointed to all youths who can’t afford one and force a child’s parents to pay for an attorney if they are financially able. The plan is to get these kids attorneys to help them navigate the court system and to not get lost among all of the intricacies of a system that they can not navigate alone. Voices for Utah Children and the University of Utah College of Law recently released a report after observing 200 cases in juvenile court and found that many of these kids who were without attorneys lived in poorer and rural areas in Utah. In 1967, the U.S. Supreme Court ruled that minors have the right to an attorney (In re Gault). Many minors in Utah are pressured to waive this right which is where the main issue comes that legislation wants to solve. According to Weiler and the report done by the U, this right to counsel may even be waived by a defendant’s parent who refuses to pay to get their child a lawyer, using this leverage as a form of punishment against a minor. The report also found that judges in Utah tend to support a person’s right to an attorney. The only issue is that it can take several hearings without an attorney before a judge is able to appoint one for a child. This means that a child will go through these hearings without a lawyer on their side. It also means delaying the cases further, as mentioned before which makes a case that much more costly. The pressures from parents and other sources can cause the underaged people to feel as though they would rather just waive this right in order to move the process along and hope that it will end more quickly. This can be detrimental to their case and will more than likely cause more issues for them in the long run. The university and Voices for Utah Children’s report back up Weiler’s push to get a new bill passed. If passed, it will provide more rights when going through the juvenile court system and support the supreme court’s rulings.